The Greek-Armenian teacher G. I. Gurdjieff was one of the most original and provocative spiritual teachers in the twentieth-century West. 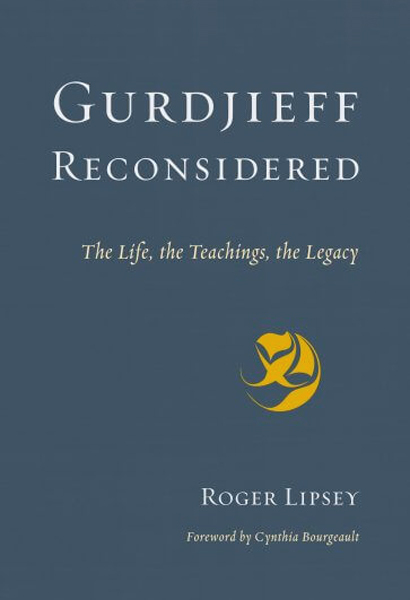 Whereas much work on Gurdjieff has been either fawning or blindly critical, acclaimed scholar and writer Roger Lipsey balances sympathic interest in Gurdjieff and his “Fourth Way” teachings with a historian’s sense of context and a biographer’s feel for personality and relationships. Using a wide-range of published and unpublished sources, Lipsey explores Gurdjieff’s formative travels in Central Asia, his famed teaching institution in France, the development of the teacher. The softcover book is 359 pages. $24.95 plus shipping with tax for California residents. Available Mid-February.